Hey! My name is Hannah and I love to cook. I do my best to make healthy meals at home, and I love discovering new recipes that make it exciting to try nutritious foods. For healthyish recipe inspiration, I usually turn to Pinterest because I can find tons of lightened-up versions of my favorite comfort foods. 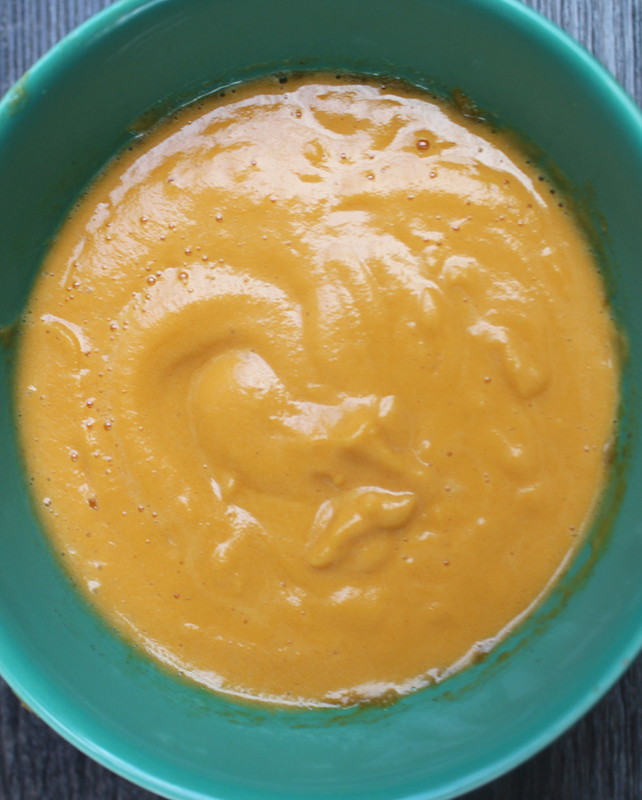 But every now and then, I come across a recipe that seems almost too good to be true. 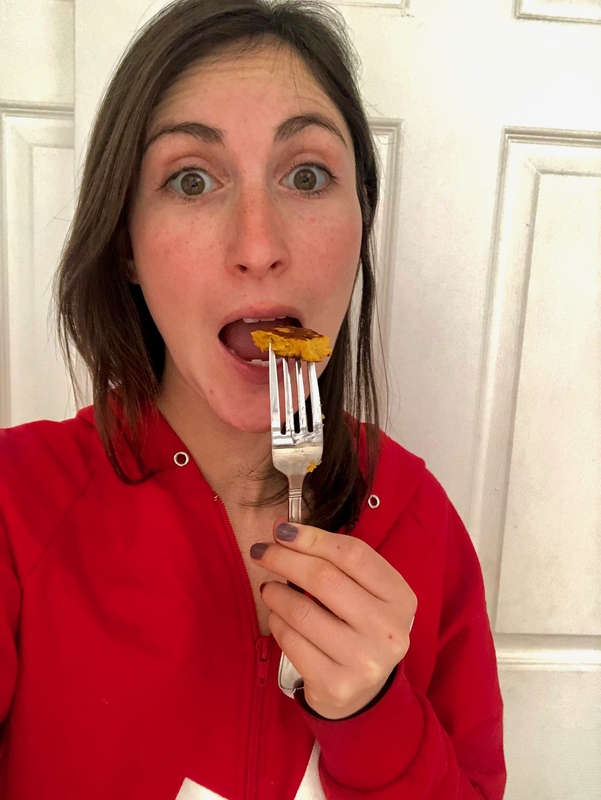 So I put together a handful of the most baffling, “miracle” health-focused recipes on Pinterest and tested them out in my own kitchen. Here’s what worked, what failed, and what you should try at home. 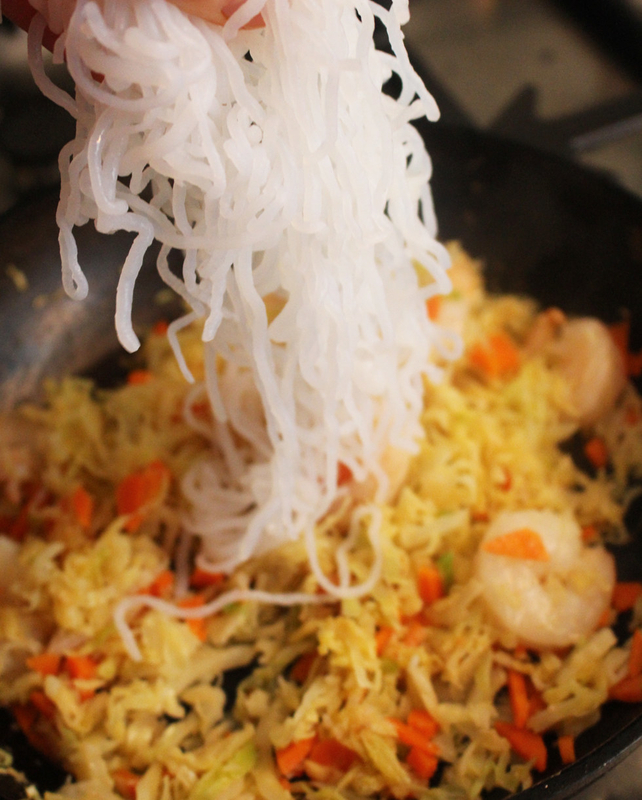 THE IDEA: Shirataki noodles are vegan and gluten-free, and the craziest part is they contain zero calories. How, you might ask? That’s because they’re made from a plant-based starch called clucomannan, which is indigestible and carb-free. I’d heard of them before, but I’d never been inclined to try them because I always figured they wouldn’t be worth it. I mean, how can a zero-calorie food actually taste good? 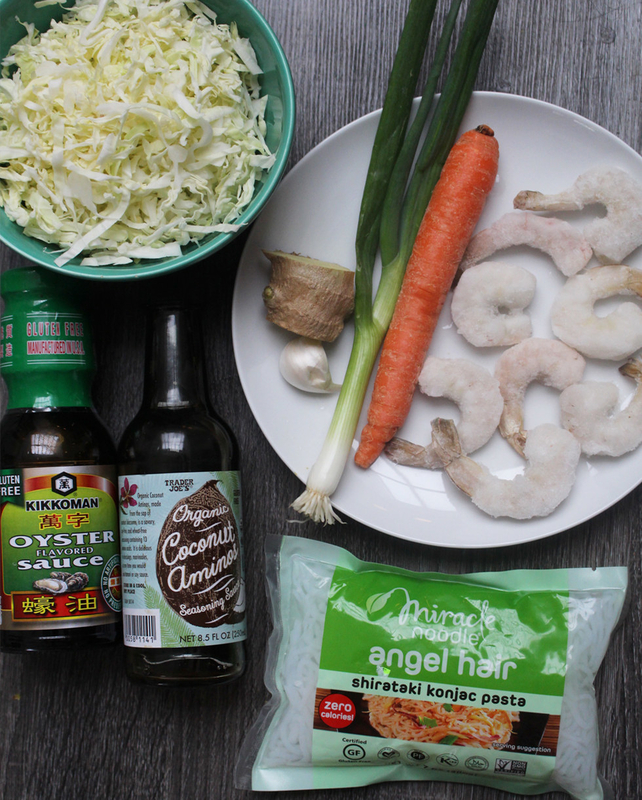 But when I came accross this recipe for a 15-minute shrimp and vegetable stir fry with the so-called zero calorie miracle shiratatki noodles, I was finally convinced to give them a try. HOW TO MAKE IT: I cooked the shirataki noodles according to the package instructions. You’ll want to run them under cold water for a minute or so to get rid of the off-putting smell. Honestly, my noodles didn’t have a strong odor, but I’d heard reports from friends that they can smell really pungent right after opening the package. Once rinsed, I put the noodles in a pot of boiling water for two minutes and voilà. 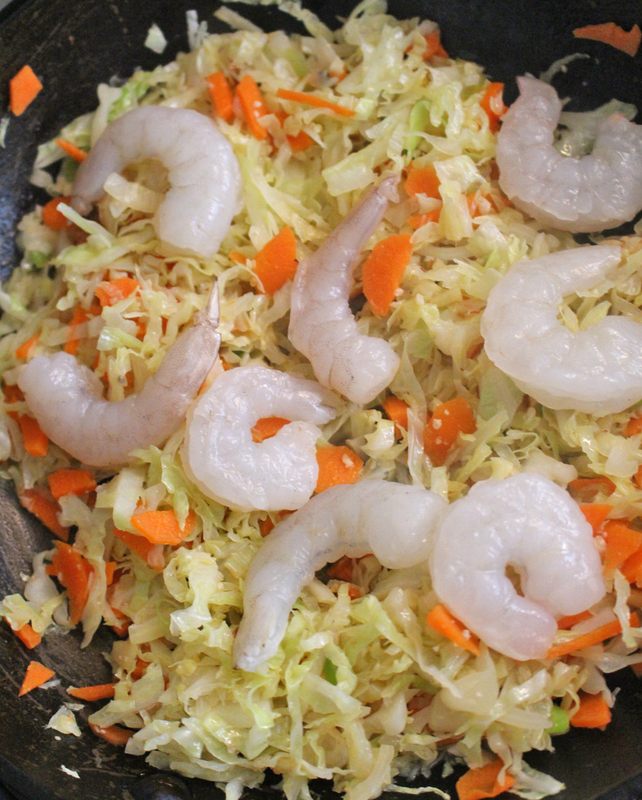 Then, I added the cooked noodles, soy sauce, and oyster sauce to a stir fry of sautéed garlic, scallions, ginger, shredded cabbage, carrots, and shrimp. True to the recipe, this meal really did take about fifteen minutes total. THE RESULTS: I’m not trying to be dramatic when I say these noodles literally changed my life, and they’ll probably change yours too. 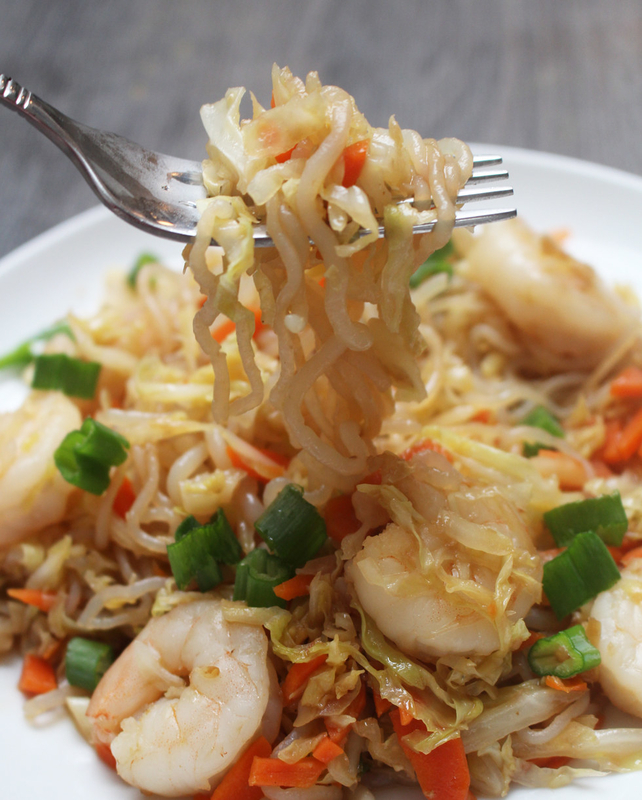 They taste most similar to Vietnamese rice noodles —pretty chewy with a bounce to them. They don’t have a strong flavor whatsoever so they taste like whatever sauce you cook them in. 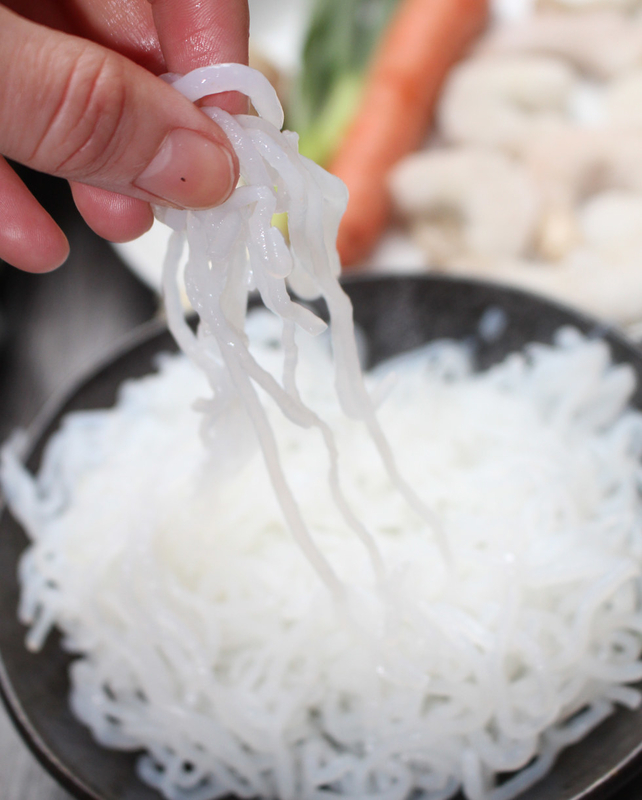 In addition to stir-fry, you could use the shirataki noodles to make delicious pad Thai, pho, and more. 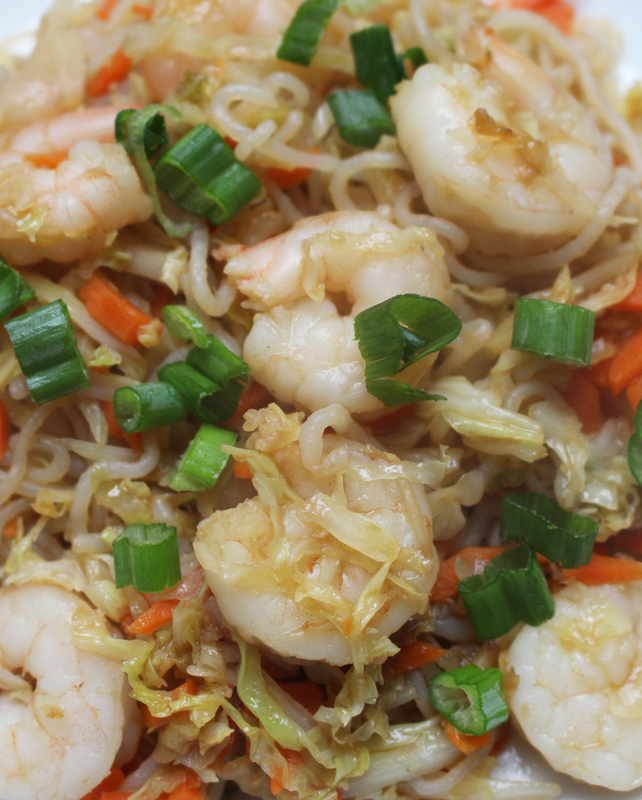 Now, even when I’m trying to avoid carbs, I can still make some of my favorite comforting noodle dishes. THE IDEA: I’ve made cloud bread before, and it’s a really weird concept. It’s keto-friendly “bread” made with eggs, cream of tartar, cream cheese, and some spices for flavor. If you are able to make it right, cloud bread gets fluffy, chewy, and doughy, making it a great substitute for bread without the carbs. 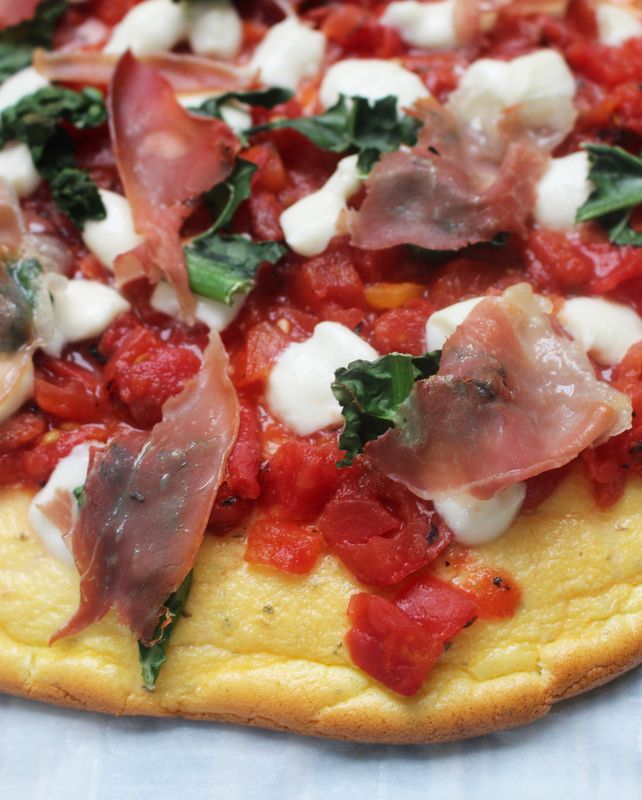 When I saw this recipe for cloud bread pizza I wanted to try it out. 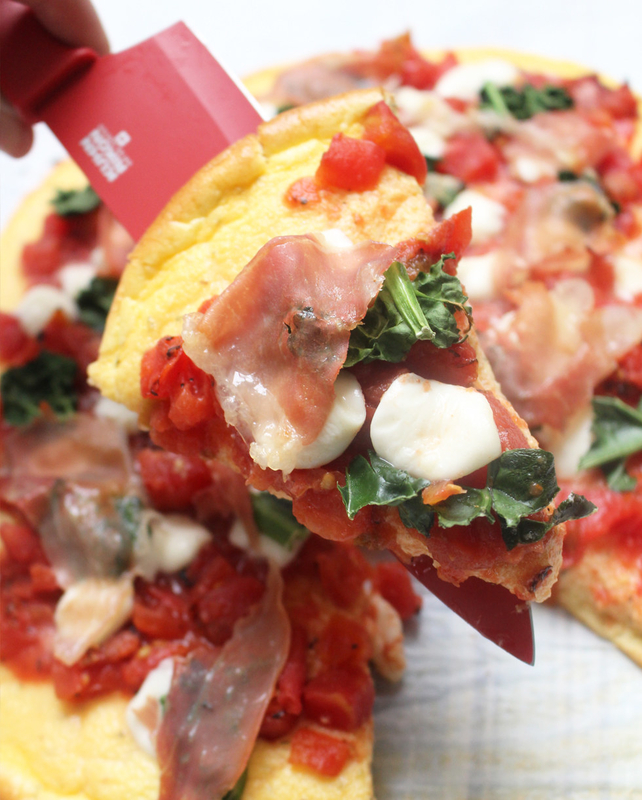 Could keto bread actually form a satisfying pizza crust? 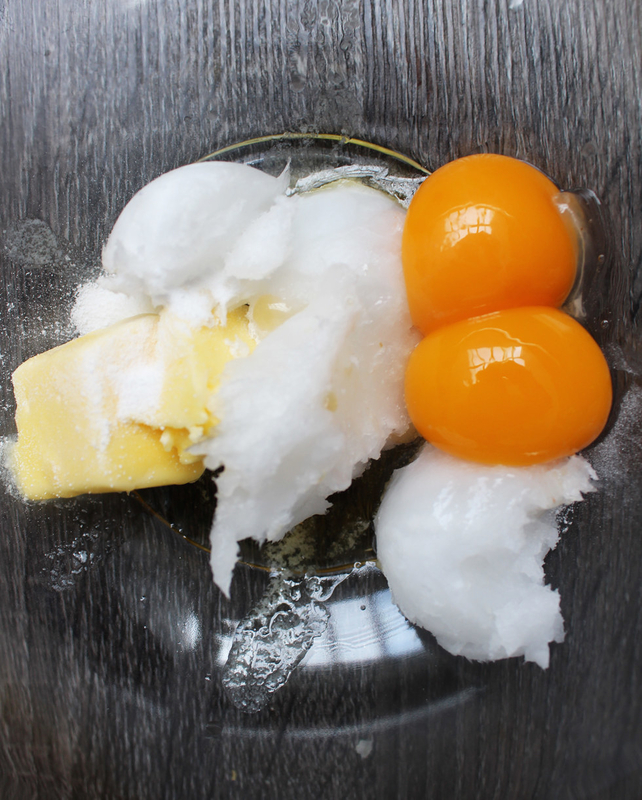 HOW TO MAKE IT: The absolute most important factor in making cloud bread is that you must separate the egg whites from the egg yolks, then beat the egg whites with cream of tartar for a while until stiff peaks form. This is necessary so that the cloud bread keeps its fluffy shape. If you don’t beat the egg whites for long enough, the cloud bread will be flat and crispy like a cracker. 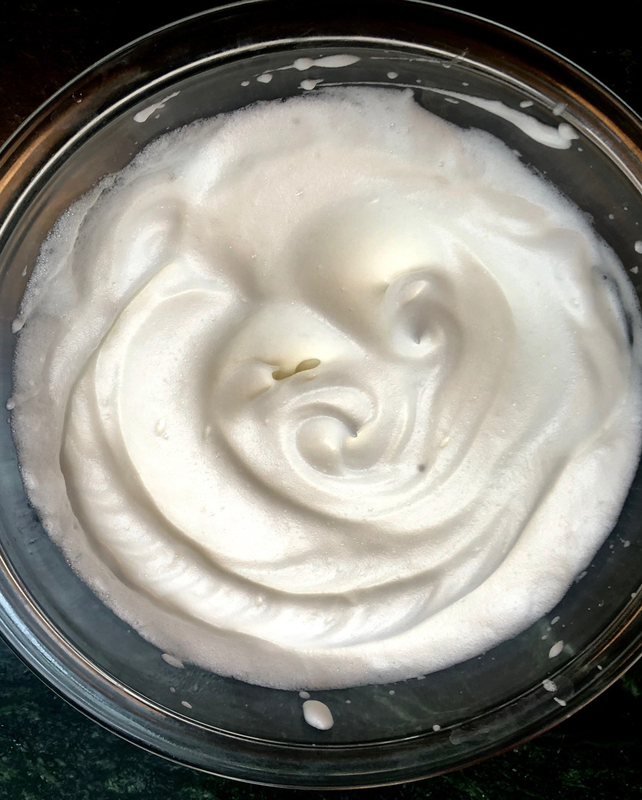 I’ve tried beating the egg whites by hand, and — unless you have the arm strength of the Hulk — it doesn’t work. You’ll definitely need a stand or hand mixer. 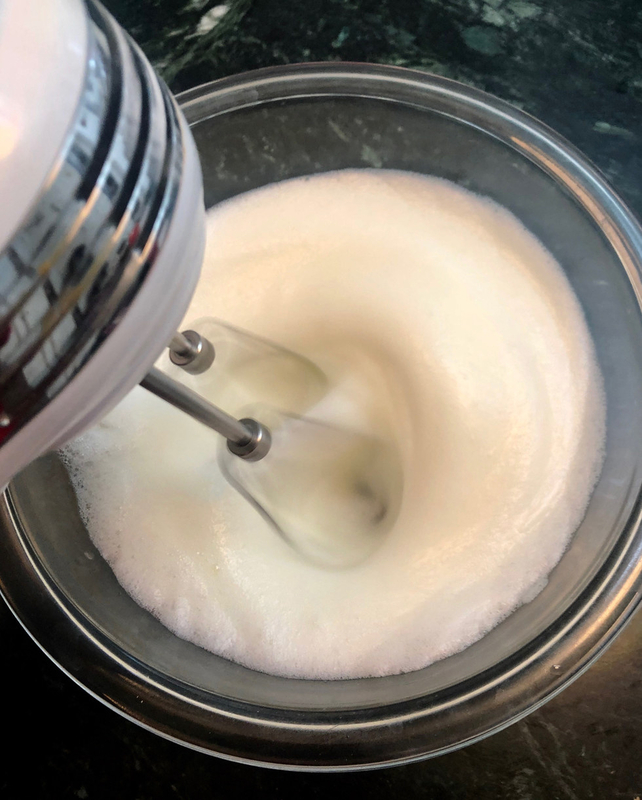 Once the egg whites are beaten, beat the yolks with cream cheese and spices (garlic powder, Italian seasoning, and salt) and gently fold it into the egg whites. 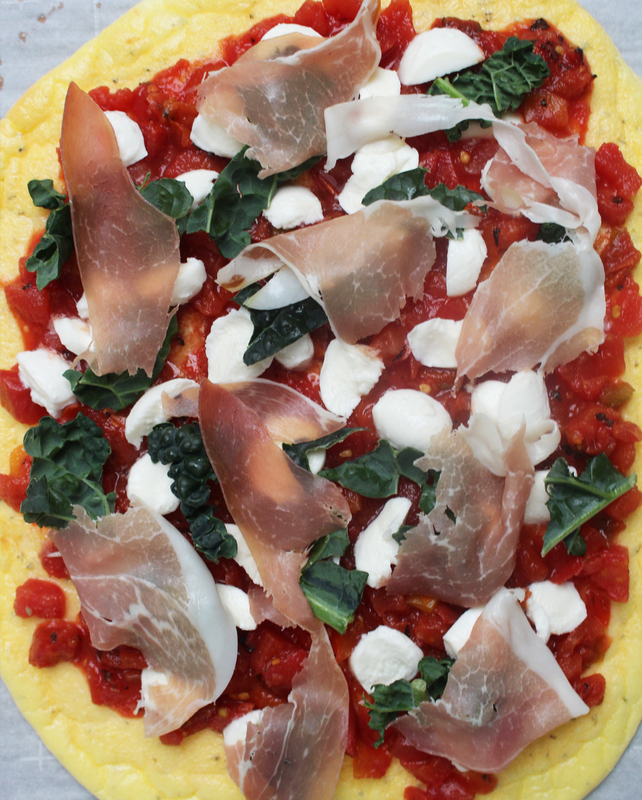 Instead of spooning the egg mixture into small circles on a baking sheet, make one big pizza-shaped oval. Then, bake it in the oven until it’s golden brown and the inside doesn’t jiggle when you shake the baking sheet. 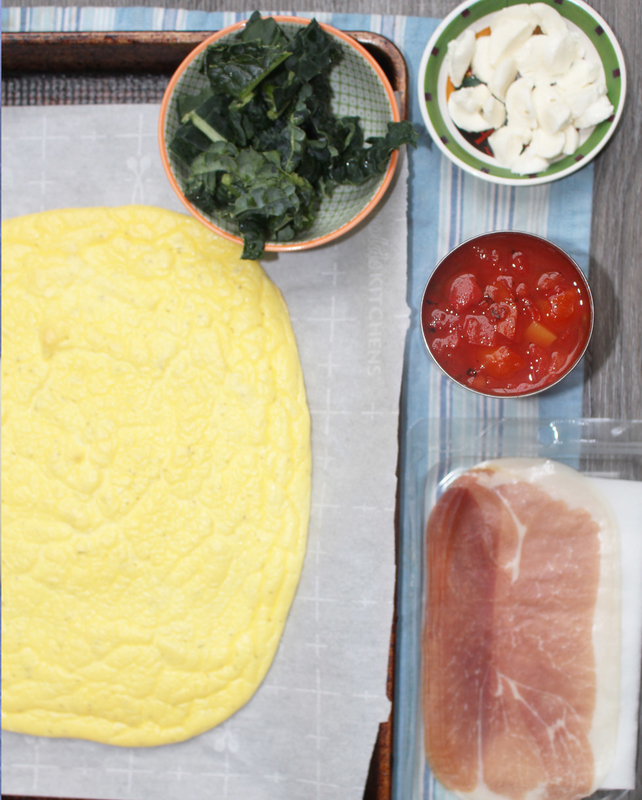 When the cloud bread is done, layer it with your favorite pizza toppings. The recipe called for diced tomatoes rather than pizza sauce, which I suspect is to keep the bread from getting too soggy. Pop it back in the oven for 10 minutes to allow the cheese to melt. THE RESULTS: In theory, cloud bread pizza is a cool idea (don’t @ me). But in reality, it doesn’t really work out. 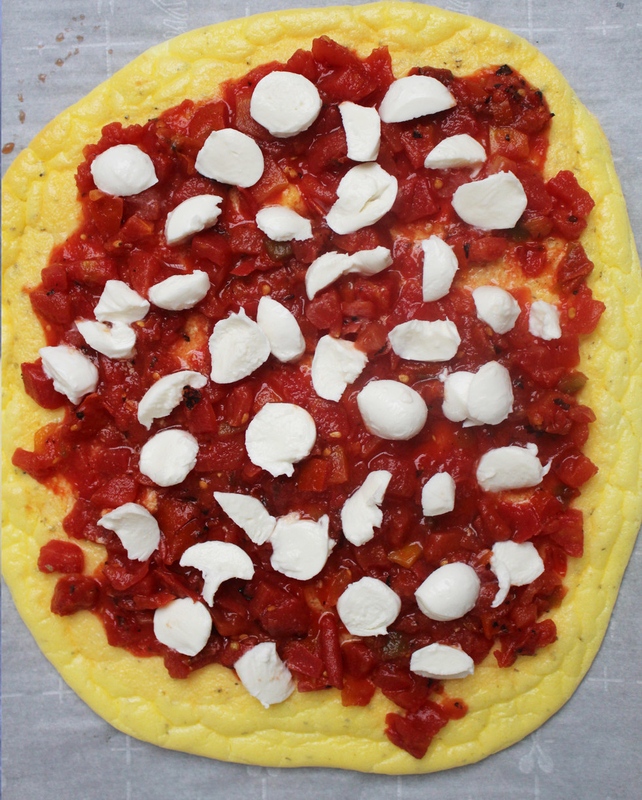 The cloud bread itself isn’t sturdy enough to hold pizza toppings without turning soggy and falling apart. You could get away with eating it with a fork and knife, but even then it doesn’t have the chewy, crunchy texture that makes pizza so satisfying. IMHO, if you’re craving pizza without the carbs, I find vegetable-based pizza crusts to be way more appetizing. Trader Joe’s has a cauliflower crust cheese pizza I actually swear by, and I’ve also tried eggplant pizza, which I’d definitely make again. 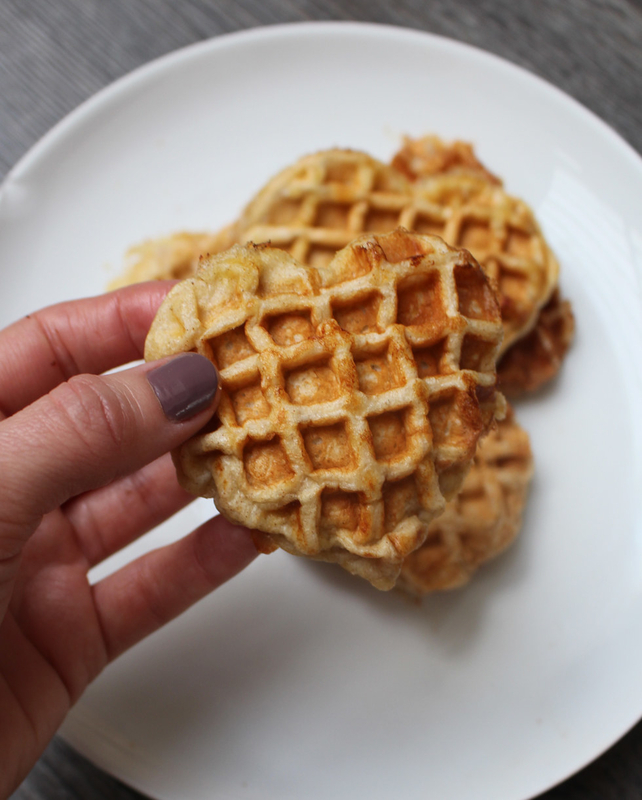 THE IDEA: I almost laughed when I first saw this recipe for keto-friendly, protein waffles. 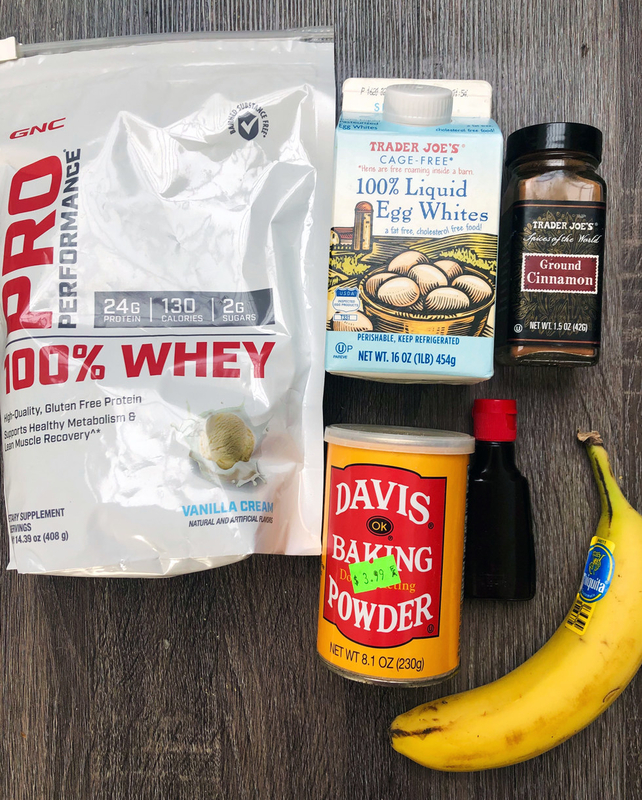 How in a million years could protein powder, egg whites, and mashed banana taste anything like homemade waffles, which are traditionally made with flour, whole eggs, milk, and vegetable oil. The most confounding part is that the recipe photos actually look like fluffy, delicious waffles. 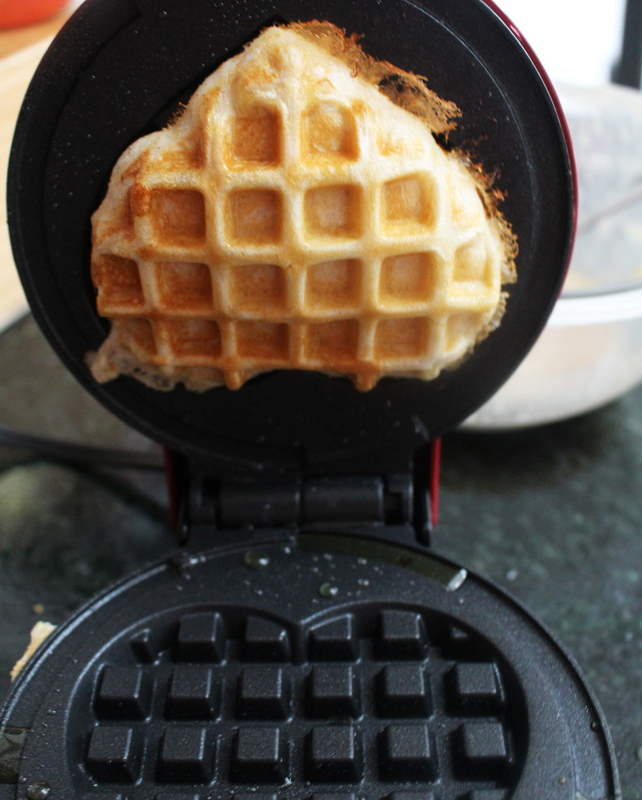 If these waffles turned out half-good, I would be seriously impressed. 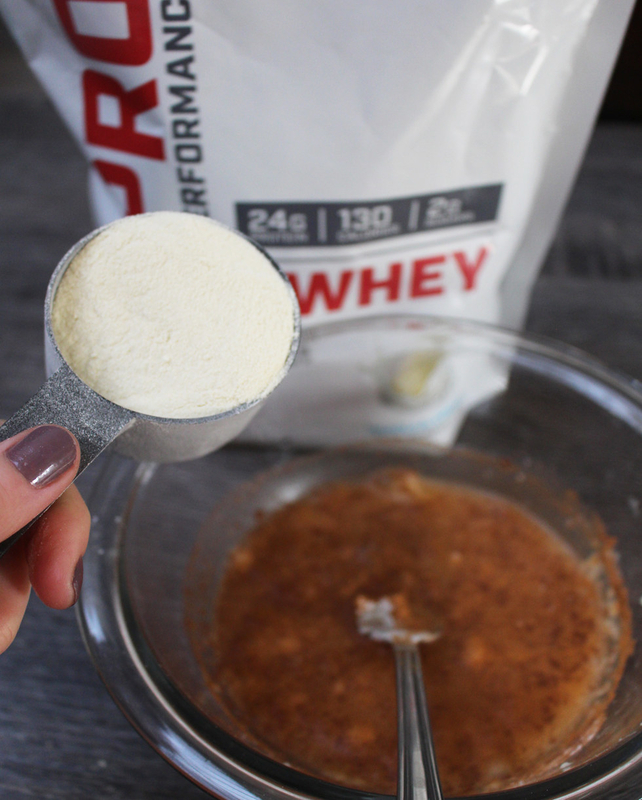 HOW TO MAKE IT: The recipe calls for just four ingredients: vanilla protein powder, egg whites from a carton, ground cinnamon or pumpkin spice, and mashed banana or pumpkin purée. It also calls for two optional ingredients: Baking powder and vanilla extract, which I decided to use because I had them on hand. There are no tricks here. Just mix everything together into a batter, pour it into your heated waffle iron, and wait for breakfast to emerge. THE RESULTS: OK. These 👏 Are 👏 Insane. I don’t know what kind of kitchen wizardry happened here, but somehow this protein-packed healthy batter turned into crispy-on-the-outside but chewy and fluffy-on-the-inside waffles. I used the GNC protein powder my fiancé had in the house, mashed banana, and a dash of cinnamon, and the result was really great. The waffles definitely had a slight vanilla taste from the protein powder and vanilla extract, but I didn’t mind at all. 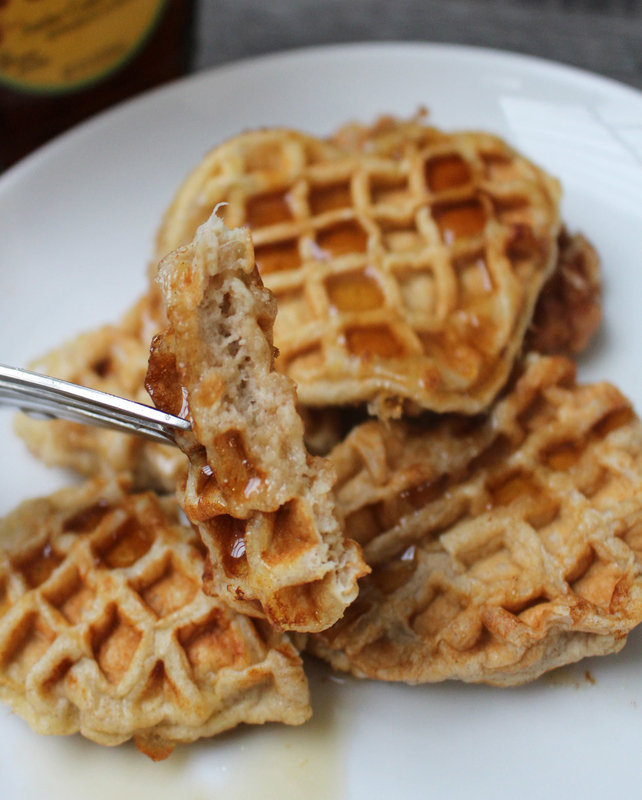 I topped them with maple syrup and literally couldn’t believe these were ~healthy~ waffles. The recipe comments make it seem as if you can make pancakes from the same batter so I’m looking forward to trying that out next. I made these for my fiancé, Zack, and he begged me to make them again the next morning. Also, yes, I do have a heart-shaped waffle maker. THE IDEA: If you’ve ever made pancakes from scratch you’ll know that they are a) freaking delicious, and b) full of calories from flour, sugar, milk, eggs, etc… Thankfully, Pinterest offers a whole slew of low-cal, low-carb pancake recipes from flourless banana pancakes to oatmeal pancakes. I’ve made healthy banana pancakes before, and I actually liked them quite a bit. 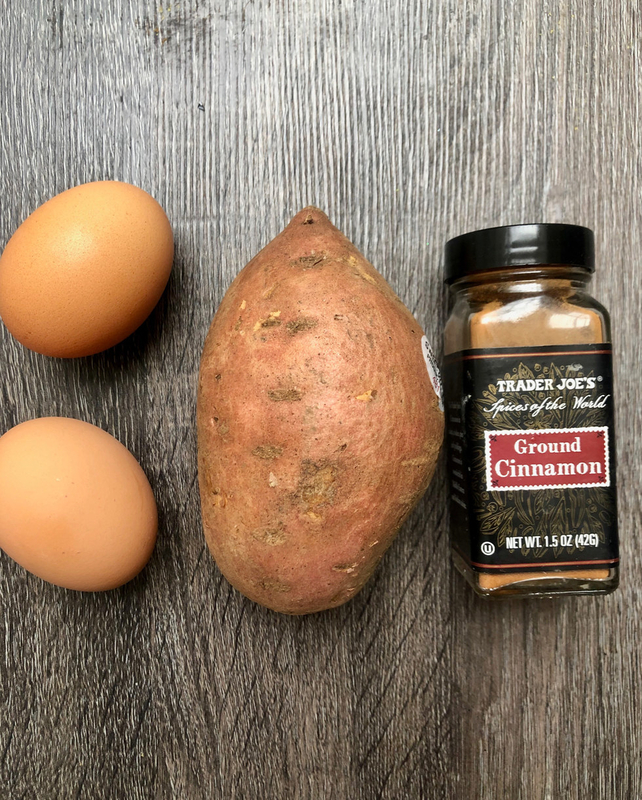 So when I saw a recipe for three-ingredient sweet potato pancakes, which call for just baked sweet potato, eggs, and cinnamon, I was excited to try it. HOW TO MAKE IT: The most time consuming part of this recipe is baking the sweet potato, so if you know you want to make these pancakes in the morning, I’d suggest making the sweet potato the night before and keeping it in the fridge. 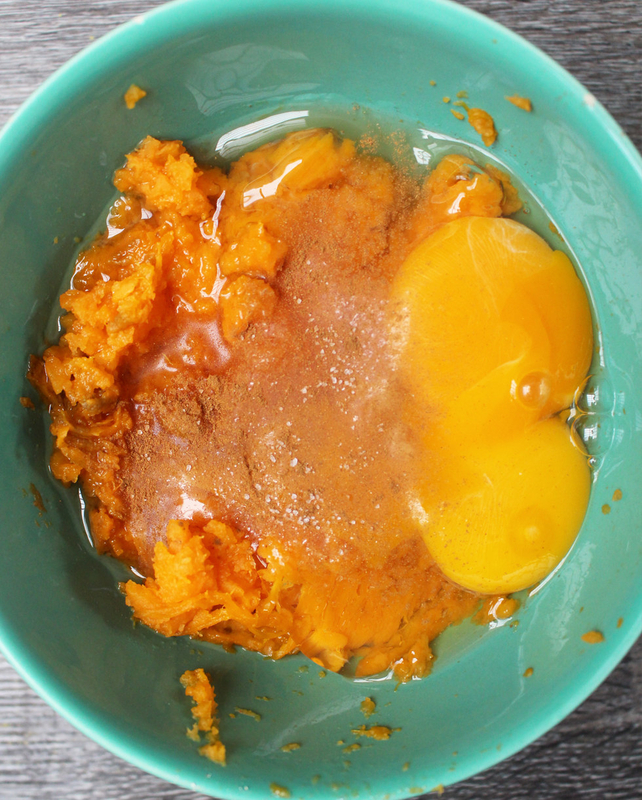 Then, its just mixing together the sweet potato with two beaten eggs and a dash of cinnamon. 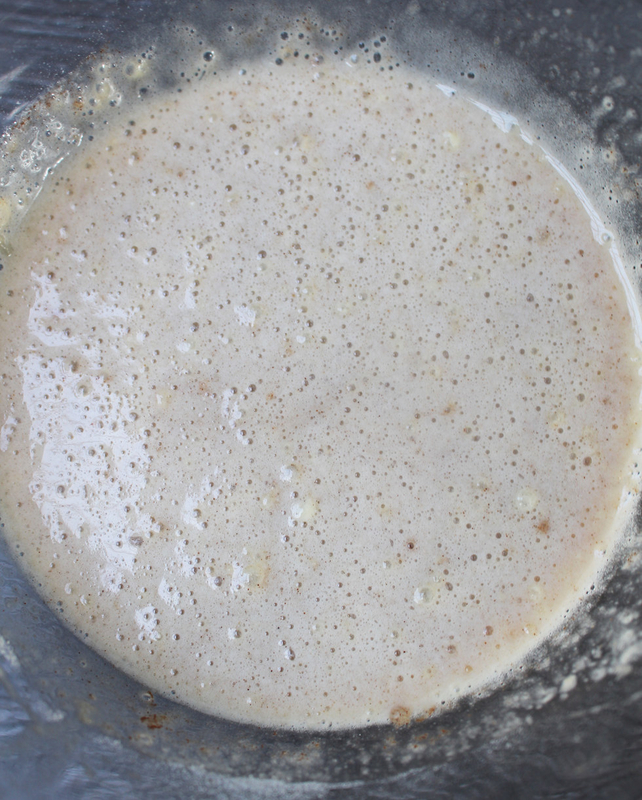 Pour the mixture onto a skillet or griddle with some butter or ghee and flip those pancakes. THE RESULT: I can’t wait to make these again. I will start with a disclaimer that if you’re not a sweet potato fan, you’re definitely not going to like these. 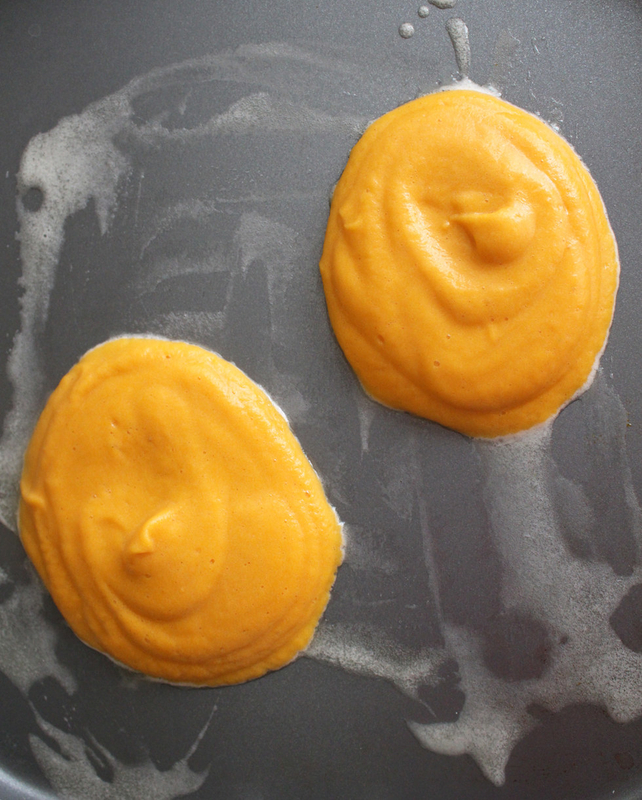 Obviously, since sweet potato is the main ingredient, the flavor comes through in the final pancakes and they are a little bit denser than classic pancakes. That being said, the crispy, slightly caramelized exterior and doughy interior is pretty similar to the real thing. They even smell like regular pancakes. Despite the delicious results, these were a bit tricky to make. Once on the griddle, the batter doesn’t really bubble up like regular pancake batter does, so it’s tough to know when they’re ready to flip. I lost a few pancakes by trying to flip them too early, so my word of advice is to err on the side of caution and give them at least three minutes on each side before flipping. THE IDEA: I am something of a cookie dough addict. Ever since I was little, I preferred unbaked cookie dough to actual cookies, and I can’t count how many times my mother warned me against the danger of salmonella if I didn’t stop eating it by the spoonful. Today, we live in an age where we can buy edible cookie dough at just about any NYC bodega (oh, what a world! 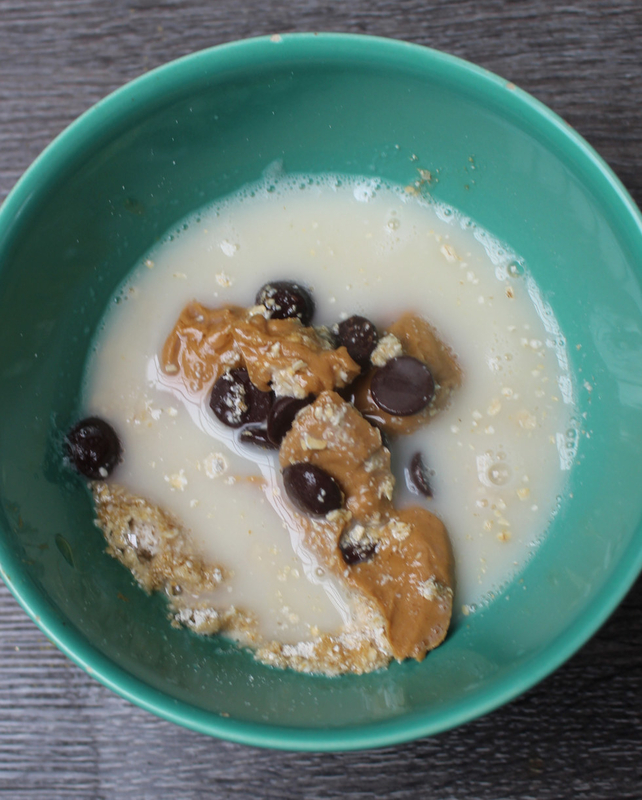 ), but when I found this recipe for edible cookie dough that’s safe to eat raw and somewhat healthy, I almost leaped for joy. 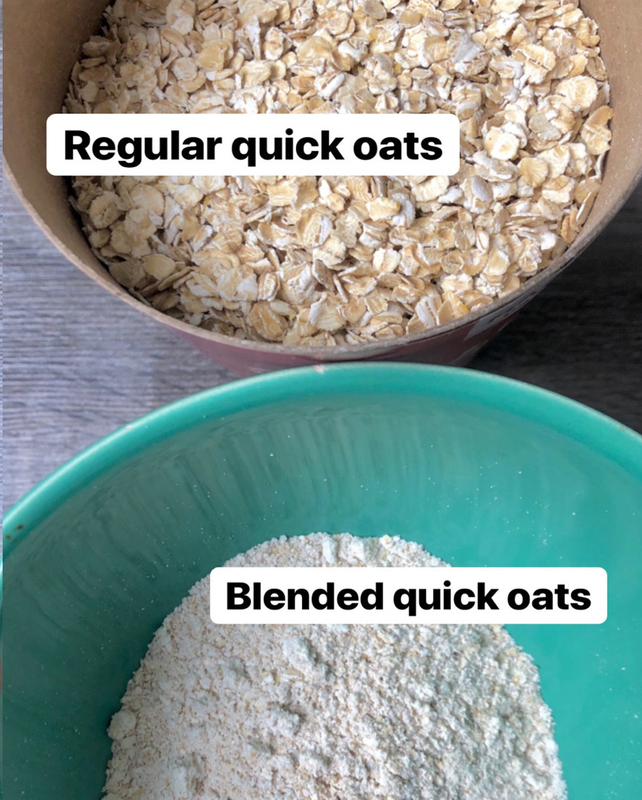 HOW TO MAKE IT: Because I prefer a smoother, creamier cookie dough, I followed the directions and blended the rolled oats into a flour texture. 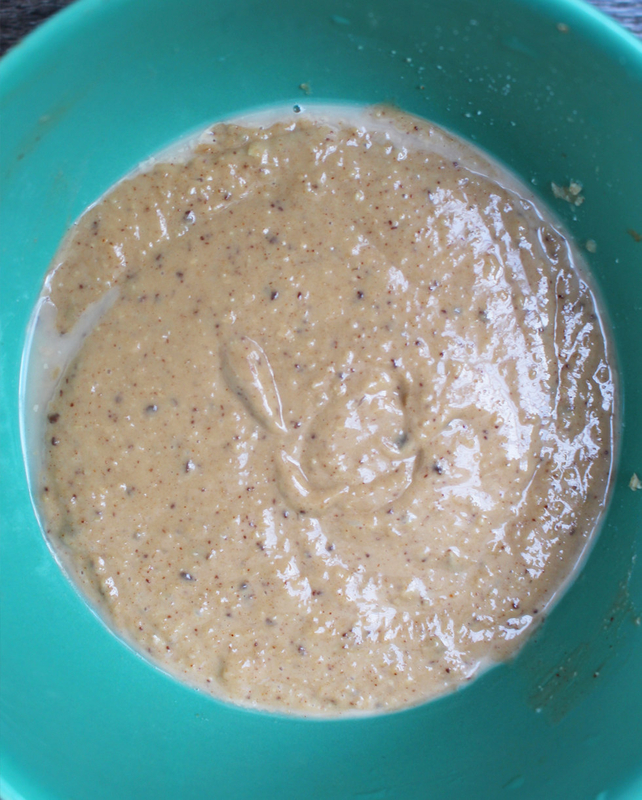 Then, I mixed the oats with the rest of the ingredients, blended everything together, spooned the batter onto a plate covered with wax paper, and placed it in the freezer to solidify for two hours. The process couldn’t have been easier, and it took about ten minutes total. THE RESULTS: Yeah…I don’t really know what was supposed to happen here. My frozen cookie dough blobs didn’t resemble the recipe photo in the slightest, but then again, I’m not sure how flat frozen disks could ever turn into what the recipe promised (aka a cup of smooth, soft cookie dough). The final product wasn’t bad, but it tasted and felt nothing like cookie dough. 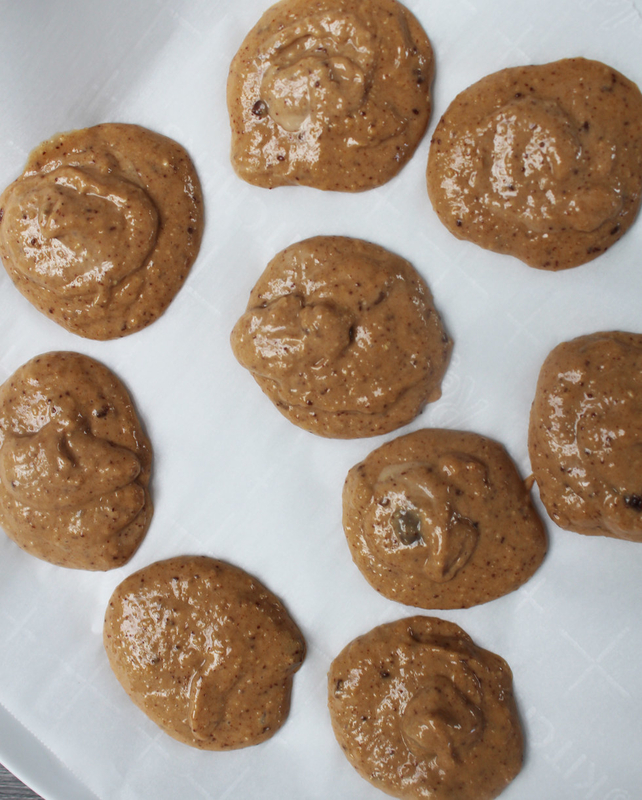 Let’s be real and call this dessert what it is: frozen peanut butter bites. THE IDEA: If you don’t eat bacon or try to avoid it but actually love the taste, Pinterest boasts a handful of vegan bacon substitutes. I’ve tried making carrot bacon in the past, and I was pretty unimpressed. 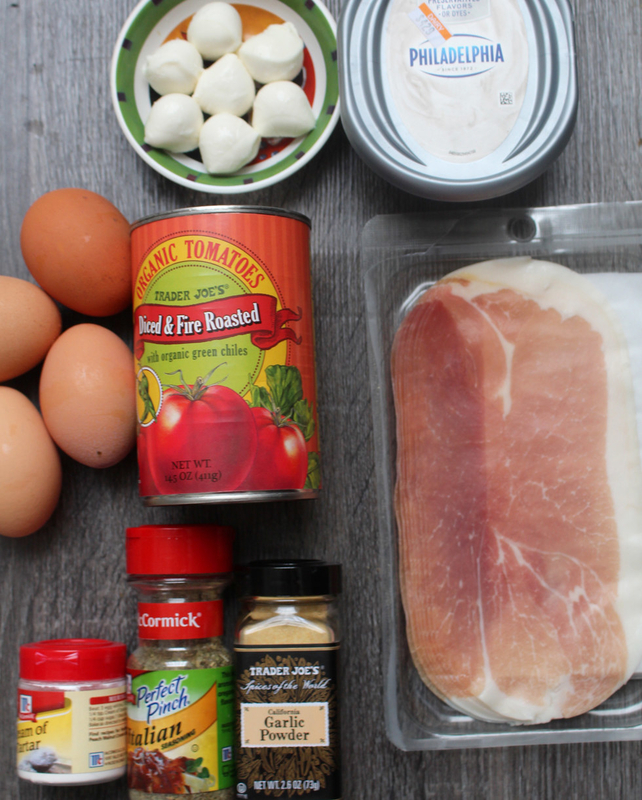 But then I saw a handful of tofu bacon recipes that looked somewhat promising. 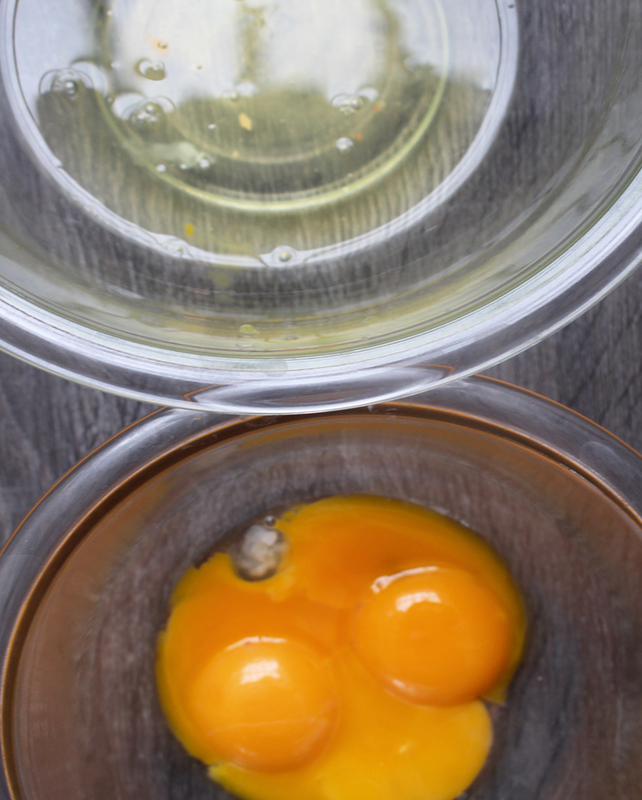 Since it calls for just a few ingredients — I figured it wouldn’t be too difficult to give it a shot. 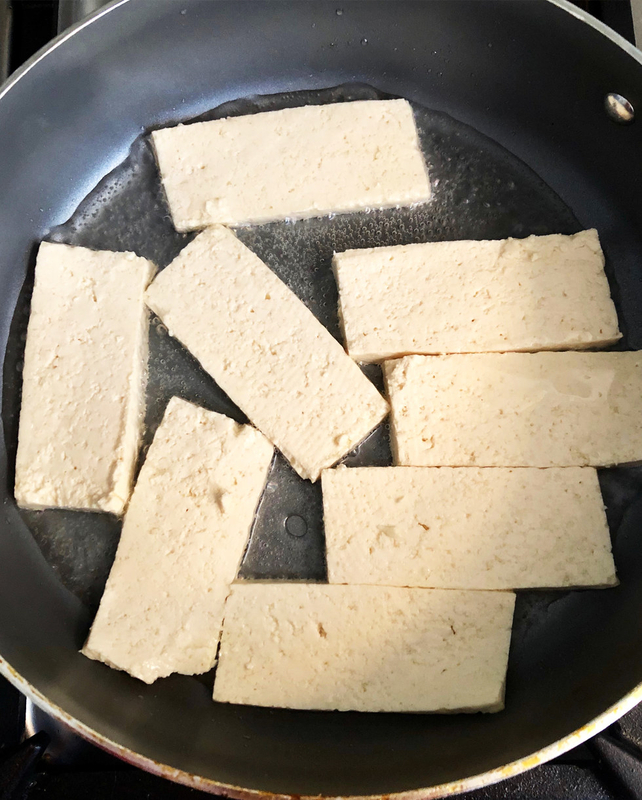 HOW TO MAKE IT: Pat the tofu dry so that you get out as much water as possible, then slice the tofu lengthwise into long, skinny strips resembling bacon. Fry them in neutral oil (I used vegetable oil) for about 10 minutes on each side until they turn golden and super crispy. Then, add soy sauce and liquid smoke to coat the tofu slices and finally cover them all over with nutritional yeast. THE RESULTS: The fried tofu didn’t taste much like bacon, but it wasn’t bad per sé. I can understand how a very crispy piece of tofu might sort of mimic the texture bacon. It’s super crispy when you bite into it, and it definitely has a smoky flavor, but it lacked the delicious, delightful fattiness that makes bacon so damn addictive. The nutritional yeast gave the tofu a sort of cheesy taste, which was salty and umami, but sadly not bacon-like. After another failed experiment, I’ve decided to stop trying to make fake bacon happen. Whether you’re keeping a keto diet or trying to avoid gluten, you shouldn’t have to give up cookies all together. That’s where these flourless “magic” keto cookies come in handy. 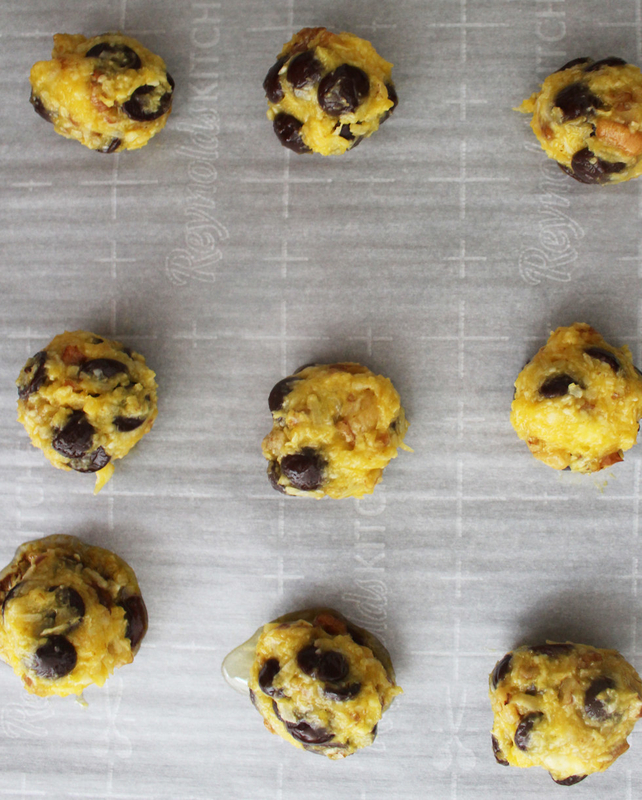 They’re made with coconut oil, coconut flakes, chocolate, butter, and chopped nuts. HOW TO MAKE IT: Growing up in a Jewish household, I’m no stranger to flourless cookies (hello, Passover). We usually stick to coconut macaroons, which are made with shredded coconut and condensed milk, but these seemed a bit fancier. 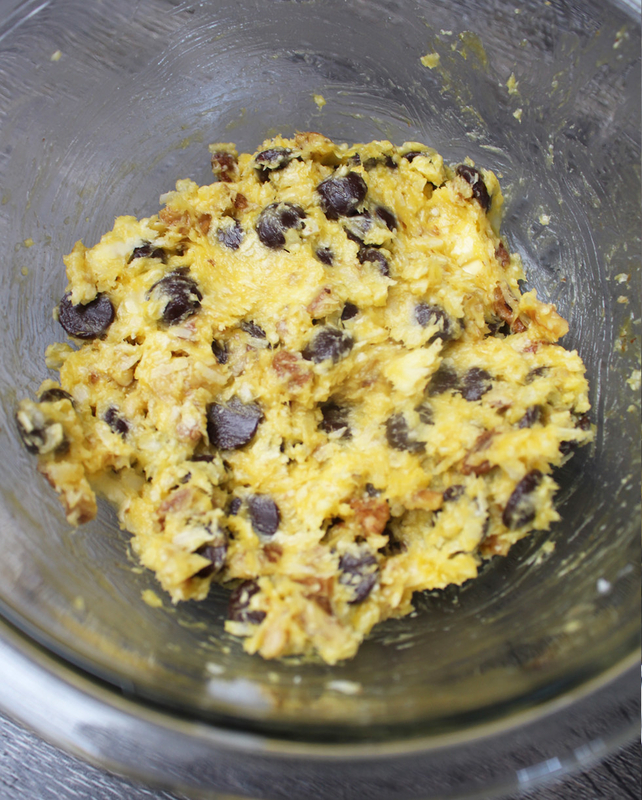 To make the cookie “dough” you mix together the coconut oil, softened butter, and egg yolks until combined. 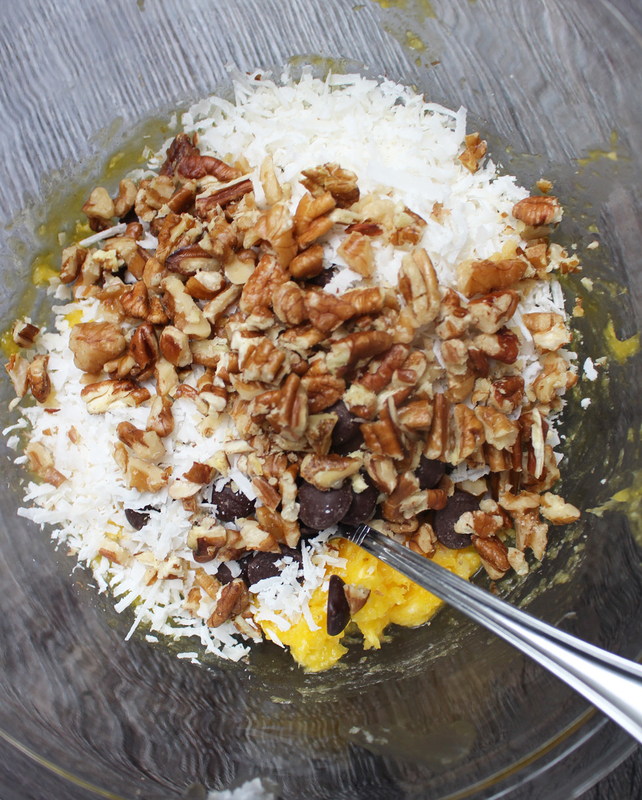 Then add the chocolate, coconuts, and nuts. 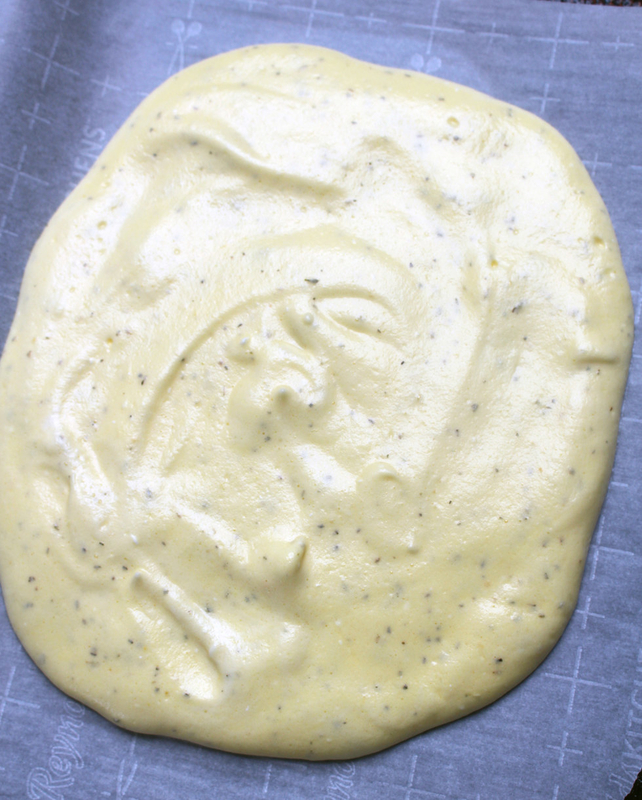 Spoon the batter onto a baking sheet and pop them into the oven for 15 minutes. As the recipe warns, the cookies come out quite oily at first from the coconut oil, so I transferred them to a paper towel to cool for about 10 minutes before serving. THE RESULTS: As I suspected, these cookies tasted a lot like coconut macaroons except the nuts gave them more of a chunky cookie texture. To be honest, though, the ingredient list was way too expensive to justify making these again. Between the coconut oil, the pecans, and the walnuts, I spent at least $20 on baking supplies. 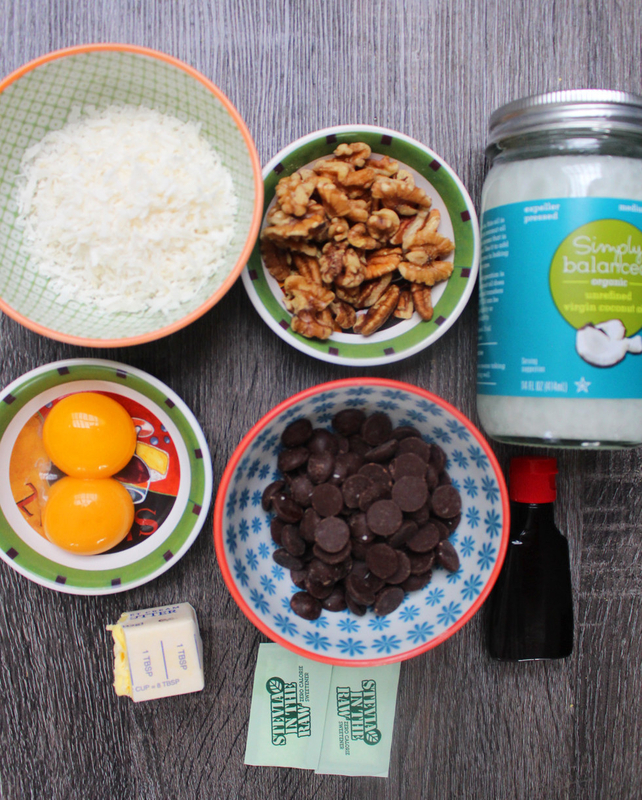 I decided to use regular chocolate chips and sweetened coconut flakes so that I didn’t need to buy baking sweetener. To cut down on costs more, you could definitely settle on one kind of nuts. I don’t feel the need to make these again. 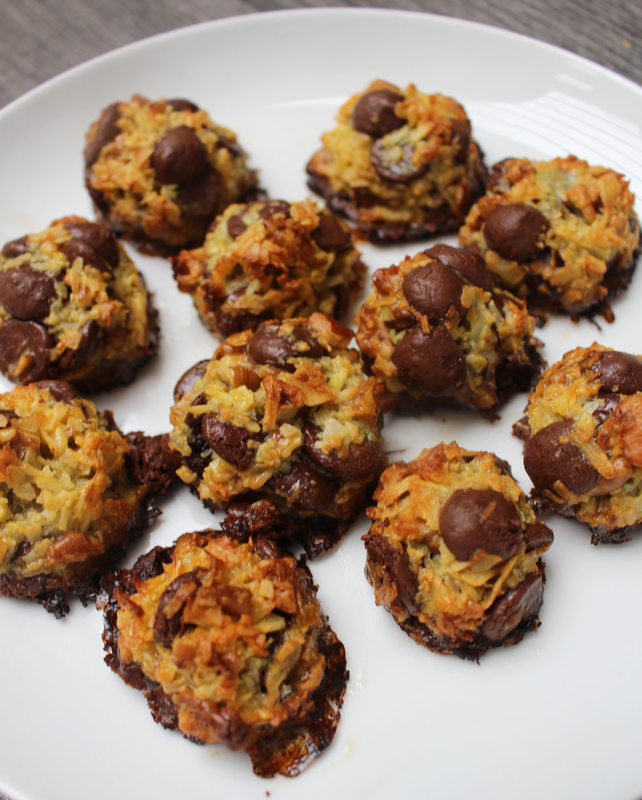 Instead, I’d stick with my go-to coconut macaroons and add some chopped nuts and mini chocolate chips. TL;DR: I was pleasantly surprised by some of these recipes, disappointed by others, and completely blown away by a few. 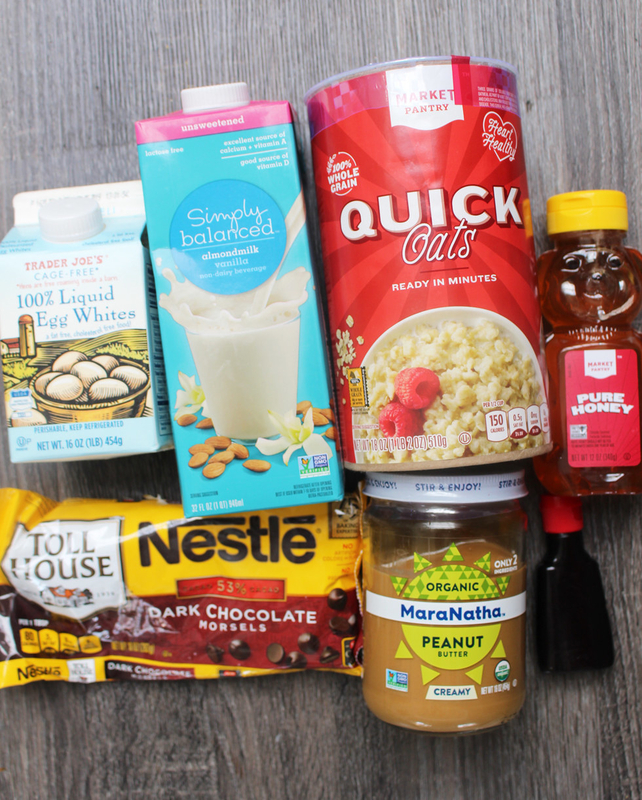 –The miracle shirataki noodles and protein waffles are must-tries. They were game changers for me, and I can’t wait to make them often. –The dessert recipes were pretty disappointing. 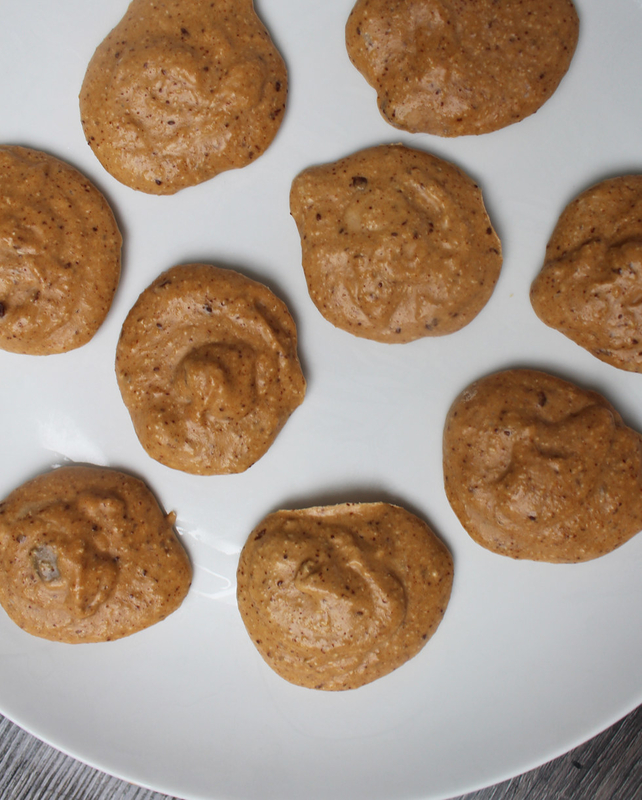 The clean eating cookie dough tasted like frozen peanut butter bites, and the keto cookies tasted pretty ordinary even though they were fairly expensive to bake. -If you’re cutting back on carbs and don’t mind eating pizza with a fork and knife, give cloud bread pizza a try. It’s no where near as delicious as pizza, but it might satisfy your craving. 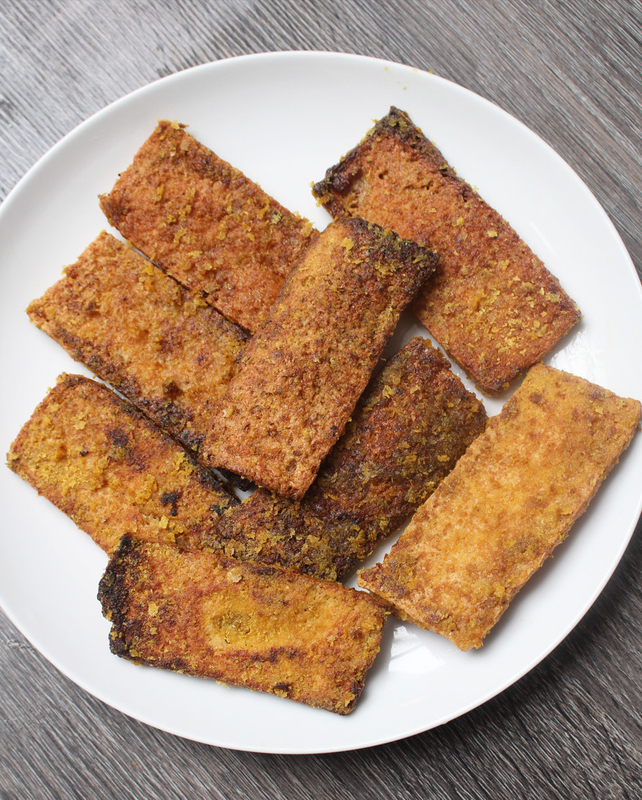 -If you’re looking for a vegan alternative to bacon, tofu bacon has a similar crispy texture and smoky taste, but it’s definitely not as good as the real thing. –The sweet potato pancakes were actually super satisfying, and with a drizzle of maple syrup they’re a great breakfast option.